So, Fal and I missed the opening ceremony of A Curious Teepee at Scape because it didn't cross our minds to rsvp (we are such idiots). As Fir has mentioned, we went down the next day because we were oh-so-curious, we had to check things out. 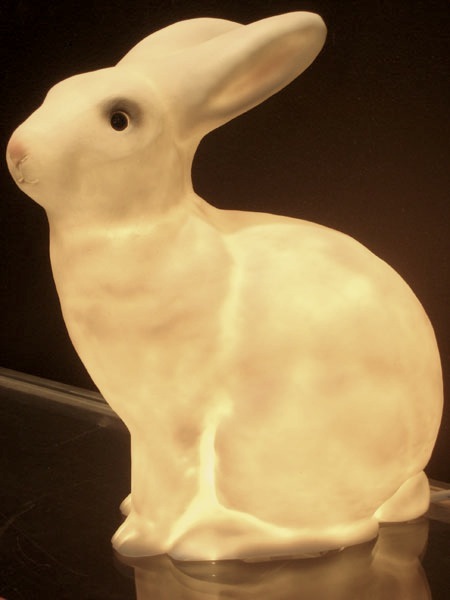 Things like a lamp in the form of a white rabbit, which everyone said looked creepy whereas I found it so charming. This rabbit is far from creepy. Creepy is living, working and playing in a house with display cabinets full of dolls (porcelain, barbie, miniature, large, Chinese, German, vintage,...) because your mom has a compulsive obsessive love for dolls. I have grown so used to them and honestly doll clothes are interesting and well-tailored. So, creepy has a definition of its own in my personal vocabulary, hence that rabbit, uh-uh Fal, not creepy. Try other 'c' words, I suggest charming or cute. The store was spacious and clean which I felt was great. I hate having to squeeze my way in between racks of clothing and doing crab-walks around shelves to get around people just to take a closer look at something. This dress caught my eye because of the huge lobster prints all over. I told Fal to wear it for a seafood buffet. Fal has pretty much got the store and its products covered. Some special mentions for the quirky knick-knacks. I liked the Precious Rubs rubbers (what a tongue twister) but the red Sound Machine was the one that really got me soundly amused (pun intended). 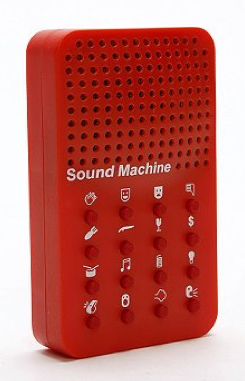 If you intend to annoy anyone this Christmas, buy this mischievous toy from here (or Urban Outfitters) and press all 16 buttons consecutively in his or her presence. Alternatively, you can annoy 16 people since you have 16 different sounds. All in all, A Curious Teepee, definitely a great place to hang out.